Run a half marathon this March. 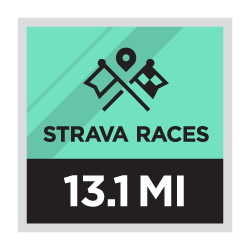 Strava is challenging you to run a half marathon as fast as you can between March 1st and March 31st. Unlike a typical half marathon, tackle this Challenge from any location, at any time of day. Skip the travel and the pre-dawn alarm clock. Don't skip the chance to push yourself, and the pace, to see how far you can climb the Leaderboard. Just pick a safe stretch of road or trail, record an activity that is at least 13.1 miles (21.1 km) long, and see where you stack up against runners across the world. Your position on the Leaderboard is based on the fastest average pace of any activity that meets the Challenge goal requirements. The average pace is taken based on elapsed time and includes the entire duration of the qualifying activity (not just the fastest 13.1 mile section of your activity). Complete the Challenge and you will unlock the ability to purchase a limited edition March Half Marathon Tech Tee for $50. 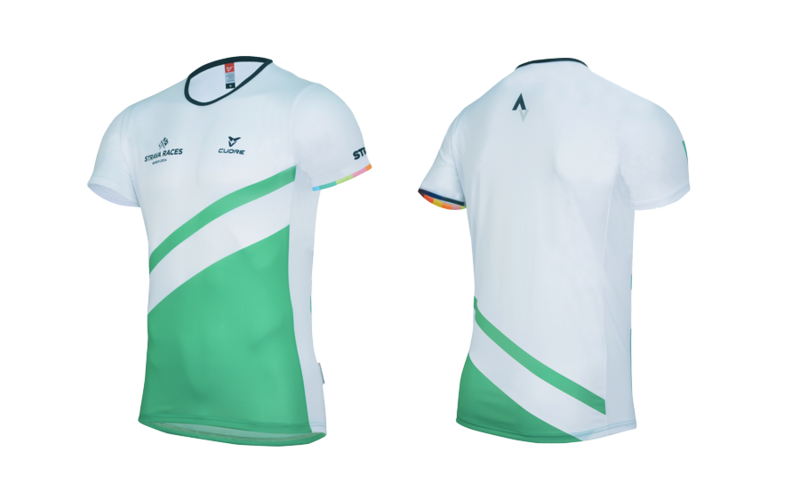 This premium tech tee is the first in a series of gear available only to those that complete a Strava Races Challenge. After completing the Challenge, an email will be sent which will include a link to purchase the tech tee. A 'Check It Out' button will also appear below the tech tee on this Challenge page which will take you to the product page in the shop. The tech tee will be available to purchase until 11:59pm Pacific Time on April 3rd. The expected delivery time is 5-7 weeks for domestic orders and 6-8 weeks for international. Athletes that complete this Challenge will receive a digital finishers badge (and potentially a new half marathon PR). You have to run 13.1 miles (21.1 km) in a single run, just like you do in a race. You will not show up on the Challenge Leaderboard unless you complete an activity over 13.1 miles. To ensure you meet the Challenge goal, we recommend you run a small amount over 13.1 miles during your activity (about .5km / .3mi). This will give you a buffer in the event your activity distance is shortened after upload to Strava due to the cleanup of GPS irregularities. You can learn about how distance is calculated for our app by reading this Knowledge Base Article. There is no time limit to complete the 13.1 miles. All activities logged during the Challenge period must be uploaded to Strava no later than April 3rd, 2014. Q: When do I have to complete the half marathon? A: You can run the 13.1 miles necessary to complete the Challenge in a single run any day between March 1st and March 31st. Q: Can I run multiple times to add up to 13.1 miles? A: No, you have to run 13.1 miles in a single run. Q: Is there a time limit for the 13.1 miles? A: No, there is no time limit to complete the 13.1 miles. Q: Can I crop my run if the activity is longer than 13.1 miles? A: Yes, if your activity happens to be longer than the 13.1 miles necessary to complete the Challenge you can crop your activity to remove the sections that you do not want to count towards the Challenge.